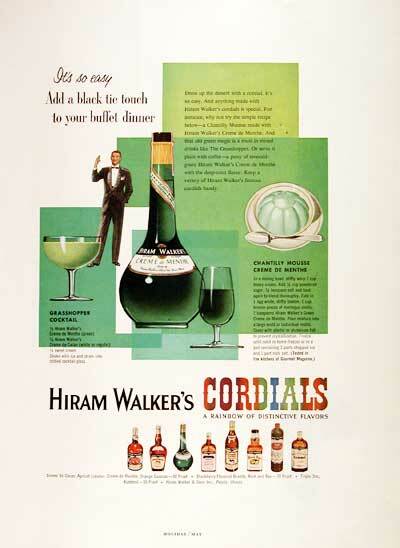 In keeping with this week’s Mad Men theme, we are reviewing the Hiram Walker Creme de Menthe. Creme de Menthe was incredibly popular in the 1960’s and for good reason – it’s delicious. It makes me sad that we miss out on so much that is yummy and good by wanting to do the opposite of what our parents and grandparents did. I really think that we lose out on some truly delicious food and drink that way. Sometimes, we are rescued from the error of our ways by a glimmer through the vastness of time. That glimmer for the 1960’s is Mad Men. And, lucky for us, the fashion, the food and most importantly, the drink has come roaring back. 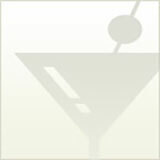 In huge swaths of the United States, cocktails went out of vogue as the 1960’s waned. The 1970’s brought the advent of wine and fern bars like liked to serve wine and some popular cocktails of the day, like Harvey Wallbanger and Long Island Ice Teas. Don’t get me wrong, we love wine and we love those drinks, as well as the fern bar on Three’s Company, but there was no reason to kill the classic cocktail. Living in rural Wisconsin, that part of the 1970’s seemingly passed us by. As a child, we went to local bars and supper clubs with our parents to eat, and for the adults, drink. The drink menu’s were mired in the 1950’s and 1960’s and were filled with drinks like the Old Fashion (made with brandy, Wisconsin style), Tom Collins and the ice cream drinks, like Grasshopper and Brandy Alexander. I remember wanting nothing more than for one of the adults to order the Grasshopper or Brandy Alexander so I could have a spoonful. The main component to the Grasshopper and the Stinger, mainstays of the 1950’s and 1960’s is Creme de Menthe. Creme de Menthe is a liqueur made by steeping grain alcohol with mint leaves, preferably from Corsican mint, for weeks and then blending in sugar. It results in a sweet, minty liqueur that is green in color. However, in today’s world, that green is often intensified with the addition of food coloring or removed to make a clear Creme de Menthe. Here is our tasting notes for the green Hiram Walker Creme de Menthe.